And it has nothing to do with the work you’re giving them or the office politics or whose cubicle is 2 inches bigger than anyone else’s. It’s simply that financial obligations are growing faster than wage rates, stretching workers’ paychecks to the limit. Keep reading to learn more about your employees’ financial worries and the new employee benefit employers are offering with good success. According to the GBAS, nearly half of workers report they live paycheck to paycheck: 40% of Canadian workers and 45% in the US. And that’s the most conservative figure I found. CareerBuilder put it at 78%. CareerBuilder also confirms something we all know, that 71% of minimum wage workers aren’t able to make ends meet. The struggle isn’t reserved for low-income workers, though. Even 6-figure earners are struggling to make their paychecks… well… pay. “Ever since we became parents, money has been a worry. A huge one, actually. Between child care costs and commuting, it never made sense for me to go back to work, and living off one income has been really difficult for us. For the first seven years of parenting, we lived in a one-bedroom apartment because that was all we could afford. At one point, my husband lost his job, and we relied on food stamps and Medicaid…. From the young couple paying off 2 student loans to the single-again mom working 3 jobs to make ends meet to the 50-something suddenly realizing he can’t afford to retire. And these worries run so deep, they aren’t something that can be set aside while on the job. Financial worries aren’t something your employees can leave at home. And they definitely affect productivity at work. 3 ways financial problems affect employees’ work performance. 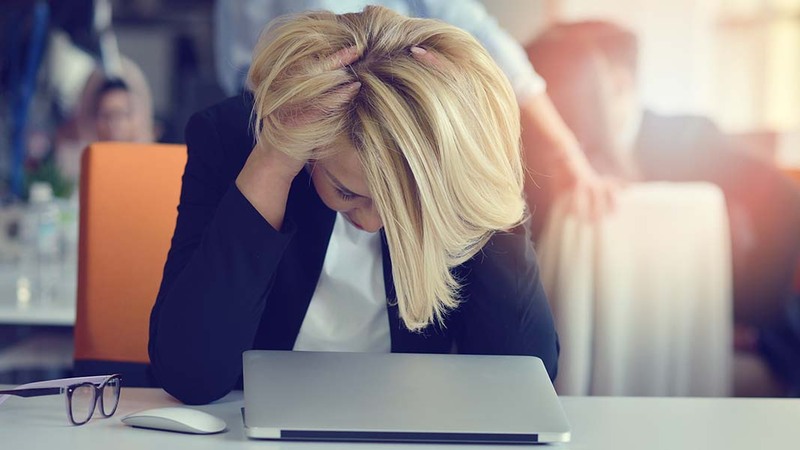 A poll by Workplace Options revealed that a third of working Americans feel that financial stress keeps them from doing their job. And they aren’t doing a good job of hiding it. 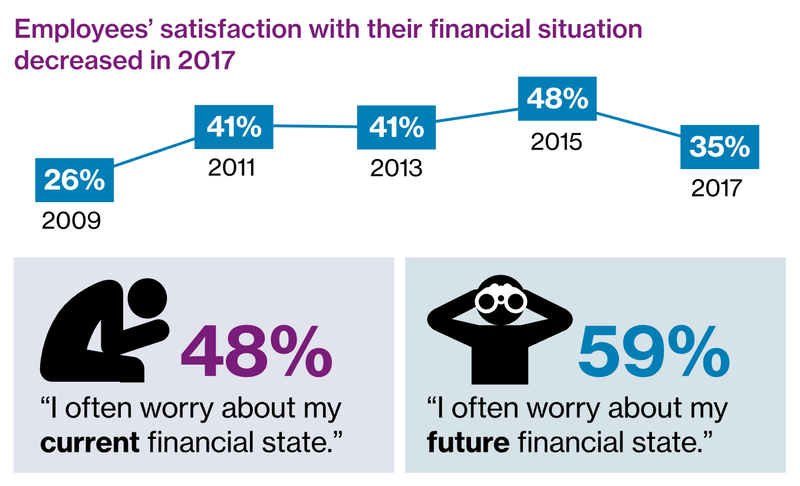 More than half of those polled (56%) believe their colleagues’ and co-workers’ job performance has been impacted by financial stress as well. Training is typically aimed at solving workplace issues, such as job performance, benchmarking progress or skill levels, or to level up an employee’s skills for a new role. Financial literacy and well-being haven’t been part of this mix because they’ve been seen as personal matters—not a job requirement. But let’s be honest. When financial stress impacts your employees’ performance on the job, training in this area becomes a higher priority. And it’s becoming a popular addition to Employee Benefits packages. 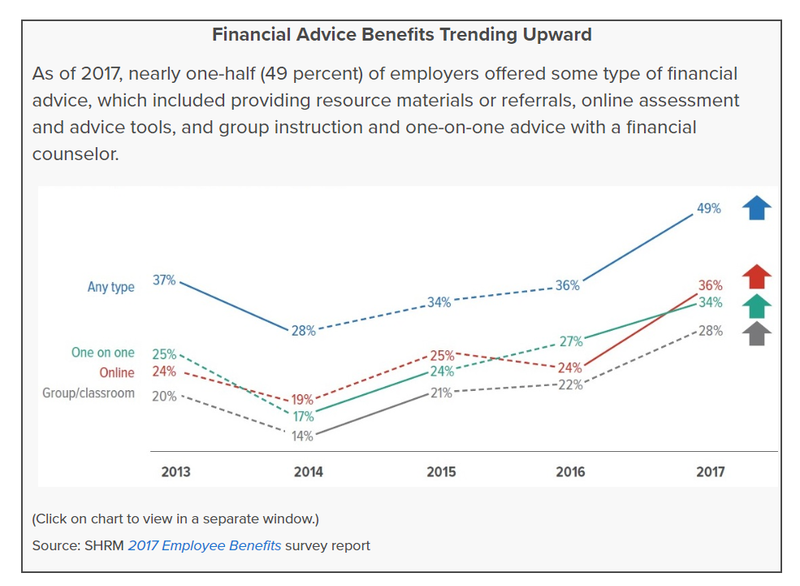 Half of employers now provide some type of financial wellness as an employee benefit. Some employers are providing debt counseling as well—either through an independent financial planner, an employee assistance program, or within one of their financial wellness programs. It’s a smart move, too. 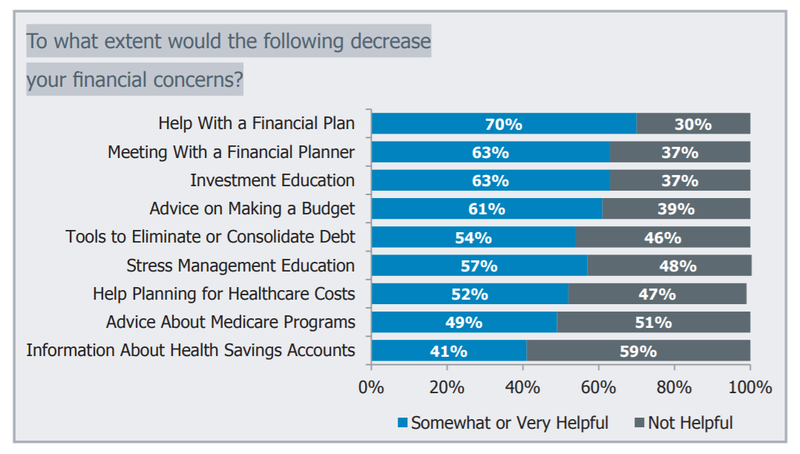 A study by Lockton shows that employees feel their stress levels would go down if they got help with their financial planning. Employees who feel their employer is “for” them are far more likely to remain loyal, working harder and grumbling less. 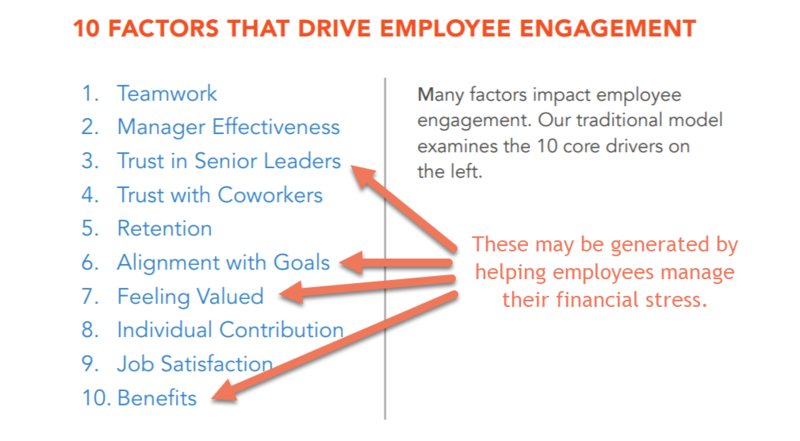 In fact, Quantum Workplace put together a list of 10 core drivers for employee engagement. Review the list below. I think you’ll agree that 4 of the 10 may actually be generated by proactively addressing financial stress with financial wellness training. Yes. 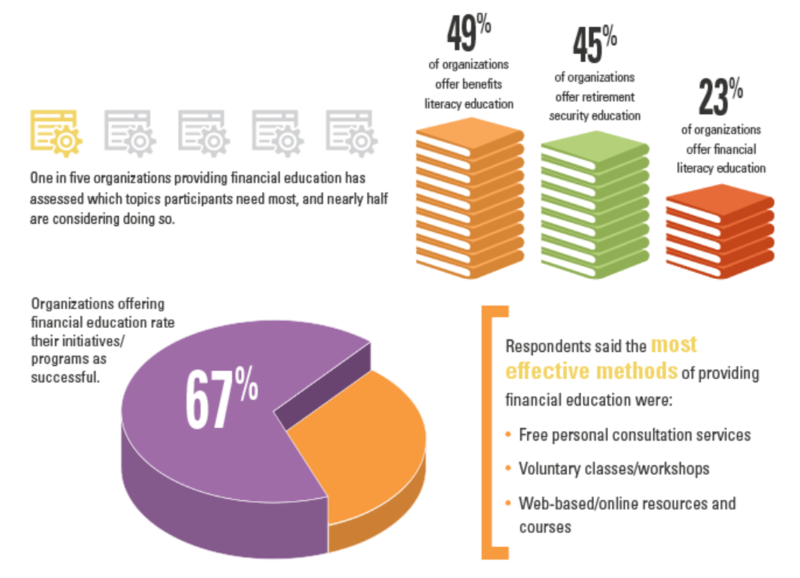 A survey by Quantum Workplace and Limeade revealed that 40% of employees under age 25 wanted their employer to provide financial wellness training. They’re eager to learn! Which means there’s no reason to put it off. Paying your employees on time and being generous with paid time off and vacation isn’t enough. They need financial training as well, so they’re able to make wise spending decisions that will reduce their debt — and stress. For starters, share our “Understanding your Paycheck” infographic with your employees. This will help them understand what goes into (and gets taken out of) their paychecks. That’s going to build a solid foundation for budgeting and decision making. Look into programs that tackle your employee’s biggest areas of concern. Most likely it’s paying off credit card debt. Then keep it up. Provide the financial wellness training your employees need and see the difference in higher productivity. It’s definitely a benefit that pays dividends! Author: Kathryn Aragon is an award-winning content strategist, copywriter, and author. 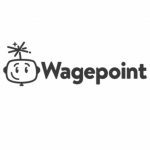 As Wagepoint’s Content Manager, she’s dedicated to sharing helpful strategies that simplify payroll and business management. In her spare time, you’ll find her exploring her random and ever-changing interests, from bird-watching to weed-pulling to gourmet cooking and more.